Lent Term at Cambridge has officially ended and with it the last day of work in the lab and my last ever undergraduate lectures and seminars. Now begins the period of analysing results and trying to formulate a coherent dissertation, but that should be the subject of a different entry. The last so-called “scientific methodology” workshop we had this term was entitled CRISPR/Cas9 – you can imagine my excitement about this, especially because it turned out that I learnt at least three new facts in that session (quite a lot more than can be said about some of the cancer lectures, which were more or a less a repetition from last year). The PAM possibly provides a means of simplifying the search for the correct target sequence. Binding of Cas9 may be initiated at the PAM sequence from where the transition to active DNA cleavage may take place. In the second paper by Zetsche et al. (2015) they engineer a split Cas9, in which each half of the protein is fused to a domain from the protein mTOR (normally involved in regulating cell growth). These domains dimerise upon addition of the drug rapamycin, thus activating Cas9 because the two halves are brought together again. 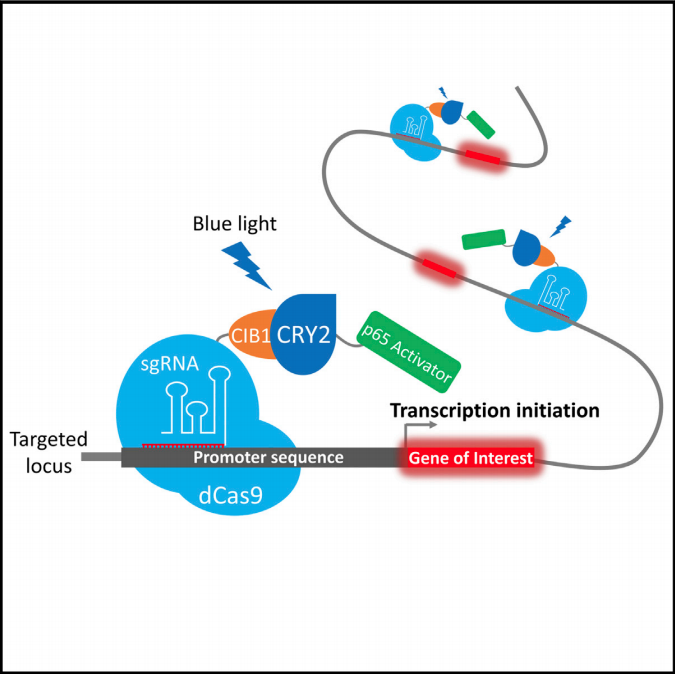 This approach allows temporal control of Cas9 activity and can also be used with dCas9 to regulate gene expression. However, the concern I have with the method is that rapamycin is a drug that inhibits mTOR and, to my knowledge, the paper does not address the question of whether the drug treatment in itself is detrimental to the cells. Lastly, we were introduced to a new, CRISPR-based technique that I had not encountered before: enChIP – engineered DNA-binding molecule ChIP (Fujita & Fujii (2013)). ChIP stands for chromatin immunoprecipitation and in its basic form relies on specific antibodies with which proteins of interest can be “pulled out” together with other proteins and DNA they are interacting with. For example, this technique can be used to find out where in the genome protein X binds – does it bind the promoter regions of certain genes? Does it bind to a specific DNA sequence repeatedly? Etc. In enChIP, dCas9 is fused to a short peptide known as a FLAG tag, against which very good antibodies exist. This fusion is then targeted to a DNA sequence of interest (or very close to a sequence of interest) where the protein complexes formed are crosslinked before being “pulled out” with the anti-FLAG antibody. The complexes are subsequently subjected to mass spectrometry, which can resolve the constituent parts of the complex. In a way, therefore, enChIP can provide complementary information to standard ChIP: in the former one is looking for proteins that bind to specific DNA sequences, whereas in the latter one is looking for DNA sequences bound by specific proteins. Hopefully this digest will keep you all satiated with information on the latest CRISPR news for a while. Now: time to dissertate (yes, the OED assures me that this is indeed a word, if somewhat “unusual”). This entry was posted in CRISPR, Factual and tagged biochemistry, biology, Cell biology, CRISPR, Genome-editing by Victoria Wang. Bookmark the permalink.